The news has just come out that, after weeks of agitating, organizing and protesting across the United States, the man who shot and killed Trayvon Martin, George Zimmerman, has been apprehended and is being charged. To get an update about the efforts that have ultimately forced police in Sanford, Florida, to act, I contacted Occupy Wall Street organizer Nelini Stamp, who is currently down in Sanford. What have you been doing in Florida? I came down to Florida when I found out about the push to mobilize students to march for 40 miles from Daytona Beach to Sanford and end in a direct action. With my training experience in NVDA [nonviolent direct action], I decided to fly down and join the march. We marched for 40 miles with 40 students from all over Florida, which ended in a civil disobedience action on Monday. How are you and fellow organizers taking the news that George Zimmerman has been taken into custody? The Dream Defenders are happy with the arrest of Zimmerman. However, we have our list of demands on thedreamdefenders.com, which include an investigation of the Sanford Police Department and why they chose to act so slowly, as well as an investigation of the city manager who chose against questioning the police department. Is this a decisive victory, or a temporary one? It is definitely a temporary victory. This is about racial profiling and the “stand your ground” law, which gives the ability to shoot someone to any person who feels threatened. The Dream Defenders want to see justice as a whole for the Trayvon case, not just for his killer — someone needs to answer for why it took 46 days to make an arrest. What’s next? What kinds of plans are in the works now? We will continue to work around issues on race, as well as inequality, and hope to build a movement around these issues for youth and to continue the Dream Defender movement. 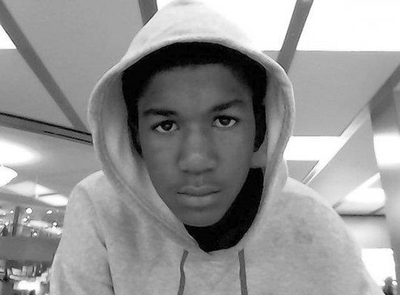 How do you think the case of Trayvon Martin is affecting the Occupy movement, or the emergence of a national movement against inequality generally? I think that all people in the United States have been affected by the Trayvon case, and we need to continue fighting across the country. This is not an isolated incident; racial profiling and the murder of young people of color happens every day. It happened the other day in Tulsa. We need to stop laws and legislation that promote racial profiling and reform the prison-industrial complex. Just as the Occupy movement brought national attention to economic inequality, the Defenders have brought and will continue to bring racial justice work to the front lines. When are you coming back up to New York? Well, during the action we got a meeting with the people of the city of Sanford and the city manager on April 19, so I will be here a couple of more days to help organize around it. But I will be back to NYC soon—it is home! There might be a Summer in Sanford though, so watch out.